At the moment when you think you have tried all types of products and that you now have found your favorite ones... Well, let me tell you another brand came in to break all the records! I am talking about the one and only Clear Jelly Stamper! I tried it for the first time a couple weeks ago and I have to say they are an absolute game changer! Not only do they have amazing products, which I will show you in a second, but what makes Clear Jelly Stamper even more special is that they, or should I say Debbie Duxbury, is the one who invented the technology of clear head nail stampers as well as the layered stamping plates which allow to create amazing colored images without having to use a reverse stamping technique which is very time-consuming and I personally am really bad at it. As a Canadian nail artist, I cannot help but take pride in the fact that such an amazing product came out of a Canadian mind! Now let's get to the nail mail I was absolutely BLESSED to receive from the lovely Debbie. When I got my haul, I did this small video to show the beautiful goodies I got from her and I am sure you will love them as much as I do! Next up. The ''Holy Grail'' of stampers as a nail friend, Elena of @NailExperiments would say. The Big Bling XL stamper. Guys I am not exaggerating this stamper picks up perfectly EVERY, SINGLE, IMAGE! I am truly stunned at how amazing it is on top of being so pretty with the bottom of it full of jewels. Now this absolutely cute French mani double-sided brush. To finish with the BEAUTIFUL stamping plate holders... I mean who doesn't love some cute holo goodies! 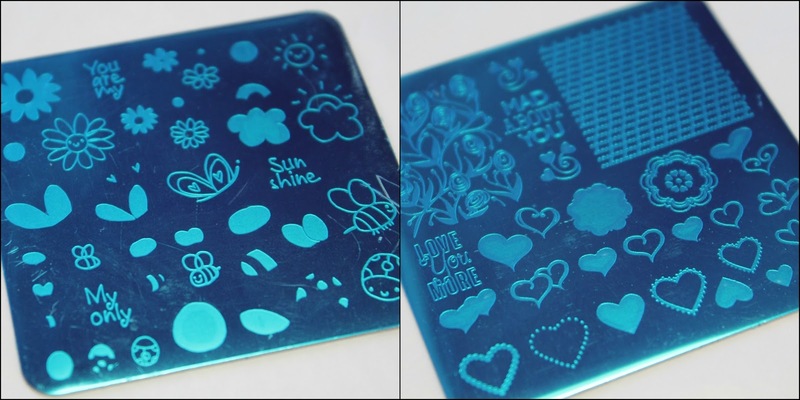 Here are the ''HoloGorgeous'' to hold the square plates and the ''HoloStunning'' to hold the large stamping plates. I have to say I love them both and most particularly the one for the large plates, for the way the plates get in there from the top and they do not slip out at all. So here we are loves, I cannot say how grateful I am for this company and its products to exist as they are amazing and I do believe that once you go for them, you cannot go back. Hope this article helped you to know a bit more about Clear Jelly Stamper.